DELVA Landscape Architecture | Urbanism is looking for a talented experienced Landscape Architect / Urban designer for 40 hours per week. DELVA Landscape Architects | Urbanism is a young and growing studio specialised in landscape architecture, urban design and research. Because of our growing portfolio, DELVA is looking for an experienced Landscape Architect / Urban designer to strengthen our team in Amsterdam. Who are we looking for? Someone who can lead a project and bring this together with designers of the team to an appealing end result. 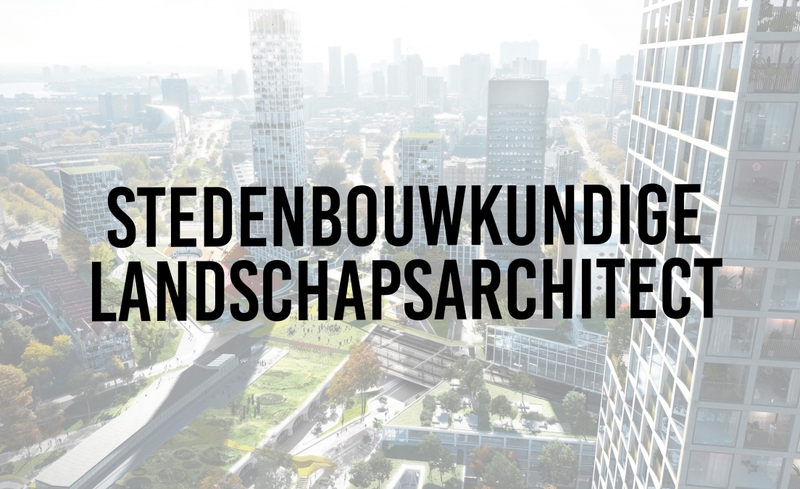 We are looking for an experienced and enthusiastic talented designer with a master in Landscape Architecture or Urbanism or comparable with at least 5 years of experience. You have an open attitude, both within the team and towards the client(s), with a great deal of curiosity to explore new possibilities within a project. You like working in a team but you can also carry out an assignment independently. Computer programs including Autocad, 3D (Sketch up/Rhino) and Adobe Illustrator, Indesign and Photoshop are no problem for you and you know how to design and present a project well. We expect a good command of the Dutch and English language. What can we offer you? We offer you the opportunity to develop yourself and to be involved in the development and realization of beautiful and inspiring projects. You will work on projects with different scales and will work on landscape and urban assignments.